Egypt has warned Turkey not to infringe on gas exploration rights Cairo obtained in a deal with Greek Cyprus. “Any attempt to infringe or diminish Egypt’s rights in that area” will be confronted, Egyptian Foreign Ministry spokesperson Ahmed Abu Zeid said on Feb. 6, Reuters reported. “Turkish Cypriots, as co-owners of the island, have inalienable rights to the natural resources around it,” Cavusoglu said in an interview with the Greek Kathimerini newspaper published on Feb. 4. “Nobody can contest the validity of the agreement,” the Turkish daily newspaper Sabah quoted Abu Zeid as saying, adding that the deal has been delivered to the United Nations. 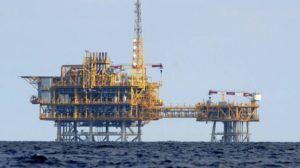 A maritime border demarcation deal signed between Egypt and Cyprus in 2013 gives Cairo access to an area of the East Mediterranean that includes the massive Zohr gas field. Egypt in December 2017 began production from the Zohr field, which was discovered in 2015 by Italy’s Eni and contains an estimated 30 trillion cubic feet of gas. Turkey’s relations with Egypt have cooled significantly since Egyptian President Abdul Fatah Sisi in 2013 deposed his predecessor, Mohammed Morsi, who was strongly backed by Turkey’s ruling Justice and Development (AKP) party. Turkish President Recep Tayyip Erdogan has said that Morsi must be released from prison before Turkey will normalize ties with Egypt.